Where can you get the best charm bracelets? There are many online retailers that offer an incredible selection of bracelets and individual charms, making it easy to find the perfect addition to your jewelry collection - or to honor a special someone with a gift tailored exactly to their interests and experiences. Although charm bracelets were originally designed to either bring good luck or ward off evil spirits - often with symbols like horseshoes and four-leaf clovers - today's trends use charm bracelets for less superstitious reasons. Many parents start a charm bracelet when their daughter is born, adding a new charm each year to commemorate a treasured memory and then giving her the completed bracelet for her 16th birthday or quinceañera. Overstock carries thousands of bracelets and charms to choose from, and their easy-to-navigate website helps you quickly find exactly what you're looking for. Frequent discounts and a rewards program make your shopping even more affordable. Whether you're shopping for high-end gold and silver bracelets or costume jewelry charms, you'll find it here. 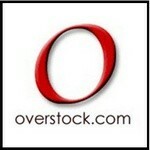 Overstock earns our highest rating. "Every Kiss Begins With Kay" - and your charm bracelet shopping should too! This jewelry store carries more than a thousand charms and 35 bracelets to choose from, and you won't find a better return policy anywhere. Kay is worth considering when shopping for your next bracelet or charms. Reeds offers the family-owned business level of customer service while providing big-name selection and prices on all of the charm bracelets they sell. You'll find hundreds of charms, primarily compatible with the Rembrandt and Pandora styles of bracelets. While the site isn't the most intuitive, Reeds' customer service representatives will help ensure that your shopping experience is a positive one, both before and after you place your order. Zales is a trusted name in the jewelry business, in operation for nearly a century. Their selection of charm bracelets is limited to the traditional link style, with no options for the kinds of bracelets with slide-on charms. But, their 60-day, no-questions-asked return policy makes Zales worth your consideration if you're specifically looking for that style of charm bracelets. Claire's stores can be spotted in practically every mall in America. Well-known for selling trendy, inexpensive jewelry, this retailer has a good selection of charm bracelets geared towards the young crowd (age 12 and under). You won't find anything high-end here, but if you're shopping for affordable gifts for kids, you'll like the charm bracelets Claire's has to offer. Another popular theme for charm bracelets is travel. Imagine how quickly those memories come back as you see your Eiffel Tower dangle charm, Mickey Mouse glass bead, or passport charm on your wrist every day. And, of course, charm bracelets are ideal for accessorizing. With thousands of charms available in silver, gold, and the full spectrum of colors, there's no end to the possibilities. Silver and blue with snowflakes for winter? Pumpkins and leaves for autumn? Sun beads, flip-flop dangles, and palm trees for the summer? You can do all that and much more with a charm bracelet. Variety. How many bracelets and charms does the retailer offer? The more charms they sell, the less likely it is that you'll have to spend your time shopping on more than one website. Can you get a range of brands and styles, or is the selection limited to just one or two? Price. How does the store compare with other retailers? Is shipping included with your purchase? Are there any discounts or rewards programs? Return Policy. If you receive your bracelet and/or charms and aren't satisfied, can you return them for a full refund? Reputation. What do other customers say about their experience with the store? Are they rated and/or accredited by the Better Business Bureau? TopConsumerReviews.com has reviewed and ranked the best Charm Bracelet stores available today. We hope this information helps you put together a charm bracelet that perfectly showcases your unique style!